Despite being a younger son, Richard's father Gilbert fitzGilbert de Clare had a string of titles, the last being Earl of Pembroke. 'Marcher' earls Gilbert and his father wielded real power on the boundary between England and Wales, un-checked by royalty or Church. Richard's mother Isabel de Beaumont was a sister of Robert, Earl of Leicester and Waleran, Count of Meulan. Isabel was the youngest mistress to Henry I 'Beauclerc' (youngest son of William I) and their affair had brought forth Isabel, born 1129/30. On Isabel's marriage to Gilbert fitzGilbert her daughter 'came with the package', so to speak. 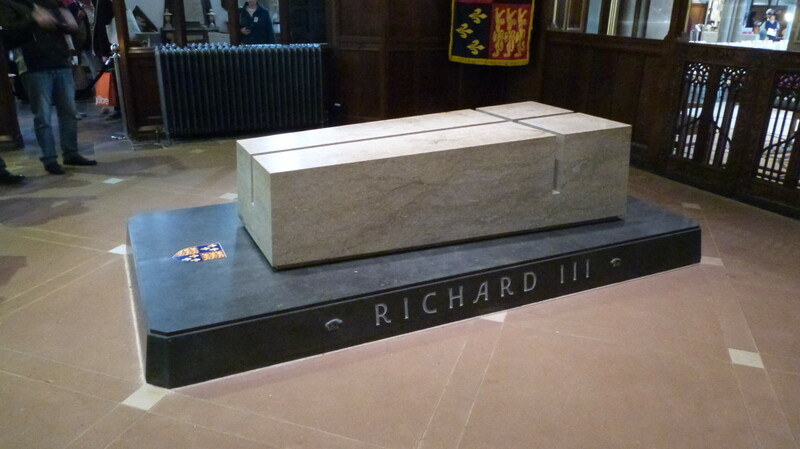 Richard was born near the end of 1139 and was raised with the half-sister of the Empress Matilda (or Maude). How did Richard and his father Gilbert come by the epithet 'Strongbow'? There is a charter in the Chronicle of Melrose, commissioned by Richard's grandson Richard Marshal wherein both Richard and his father were named 'Strongbow'. The men of Netherwent (Gwent, form. 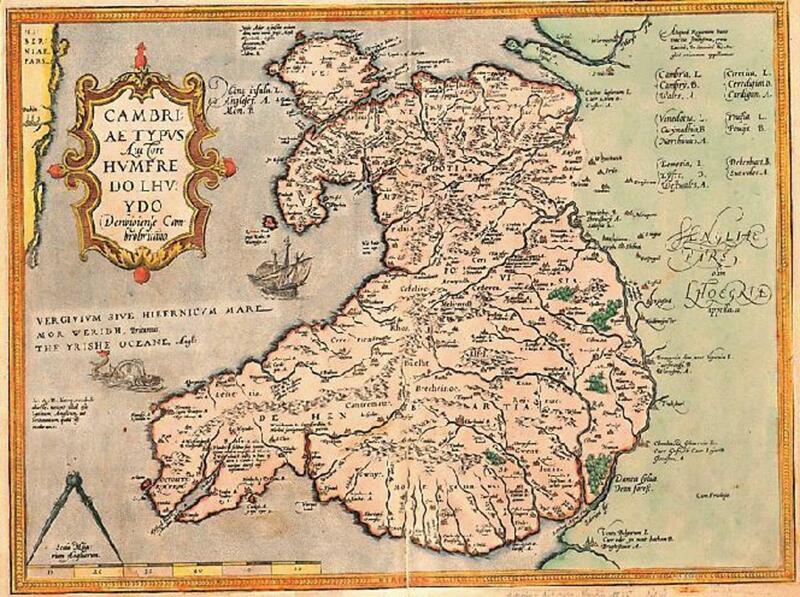 Monmouthshire) were renowned as archers with their unusually long, powerful bows. Both Richard and Gilbert held the lordship of Netherwent and as Gilbert de Clare's shield showed him clutching a long arrow in his right hand, historians took it that he possessed the skill to draw this type of weapon and thus ascribed the nickname to both. Richard fitzGilbert's father, grandfather, uncles and great uncles were favoured by Henry I and Stephen of Blois. On the death of Roger de Clare without local issue Henry granted Gilbert de Clare the deceased's estates of Orbec and Bienfaite in Normandy. When Henry died in 1135 Richard's father Gilbert stood by Stephen's claim to the throne and actively supported him in a military capacity during the era known as 'the Anarchy'. 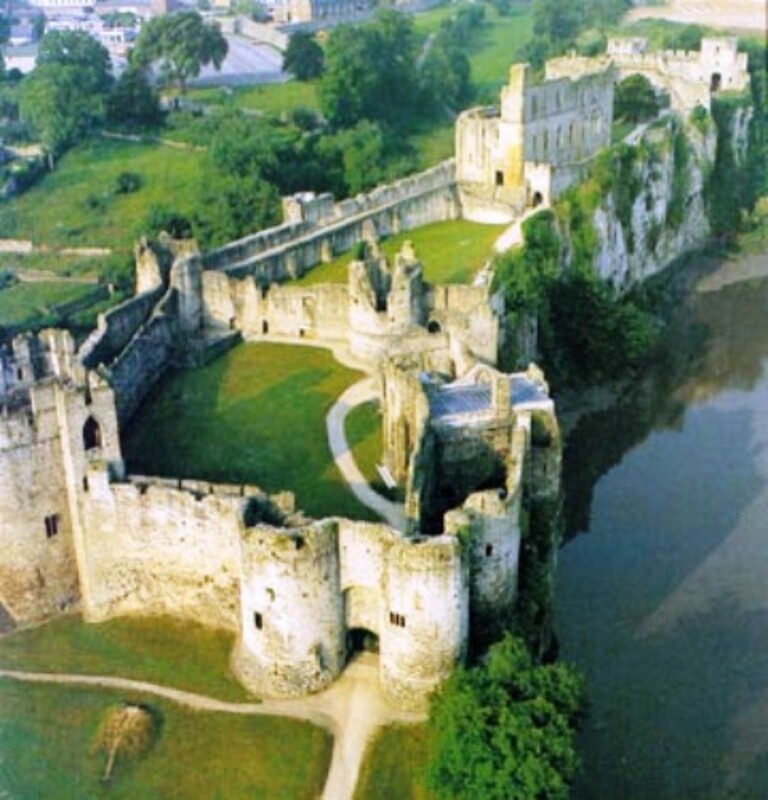 On the death of Gilbert's uncle Walter de Clare in 1138 King Stephen bestowed on Gilbert the lordship of Netherwent, which included the castle of Striguil (Chepstow) and Usk. Stephen also granted Gilbert the comital title and lands of the earldom of Pembroke in the same year. Both Gilbert and Richard stood by Stephen against Henry's daughter Matilda until 1146 when Stephen held Richard de Clare, earl of Hertford as hostage against the good conduct of his uncle Ranulf, Earl of Chester. Gilbert Earl of Hertford also happened to be the nephew of Gilbert, now Earl of Pembroke. When Ranulf went over to Matilda's side King Stephen forced Gilbert of Hertford to surrender his lands and castles. This action of the king's prompted Gilbert to side with Ranulf on Matilda's side. 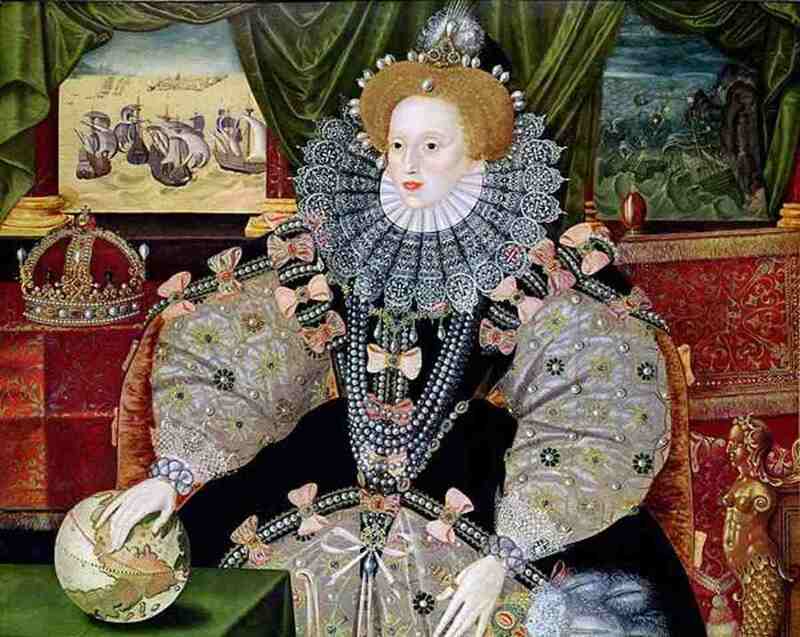 Fully expecting Gilbert, Earl of Pembroke to follow his kinsmen's lead, Stephen deprived the earl of his lands and castles, thus enraging the earl and bringing him into Matilda's camp. His sixteen-year-old son Richard decamped with him. 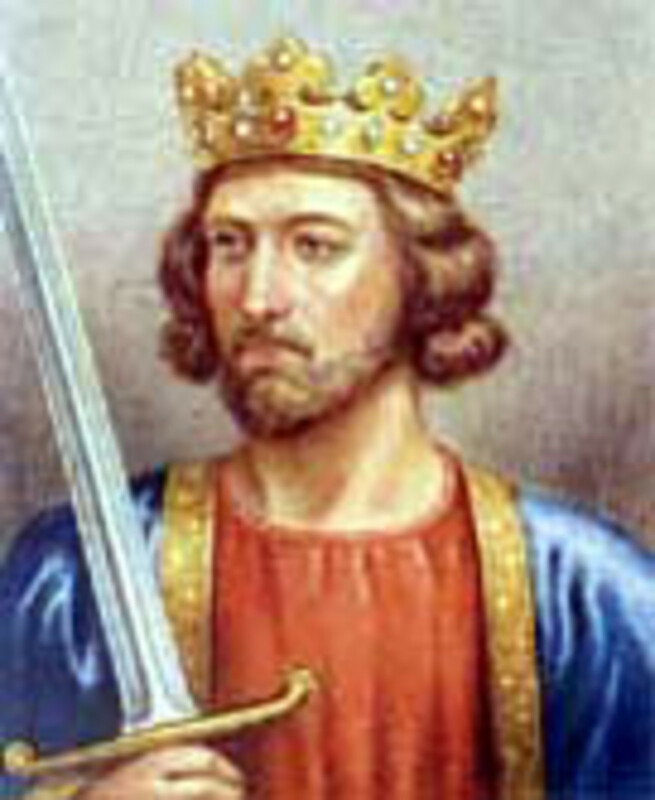 Gilbert Earl of Pembroke died around 1148, leaving all his father's lands including Orbec and Bienfaite, the lordship of Striguil and the earldom of Pembroke. Richard first shows in official documents as 'comes de Pembruc' in the Treaty of Westminster, November 1st, 1153 but this is the last time he signed as Earl of Pembroke. Henceforward he would sign as 'comes de Striguil', alternately 'comes ricardus' (in many instances a scribe would enter the name beside or below the noble's insignia impressed into molten wax on the document. This does not mean he did not know how to write his name - in many cases barons bragged about not being able to read and relied on their priests - but this is the origin of 'signature', the impression of a signet ring peculiar to that person). 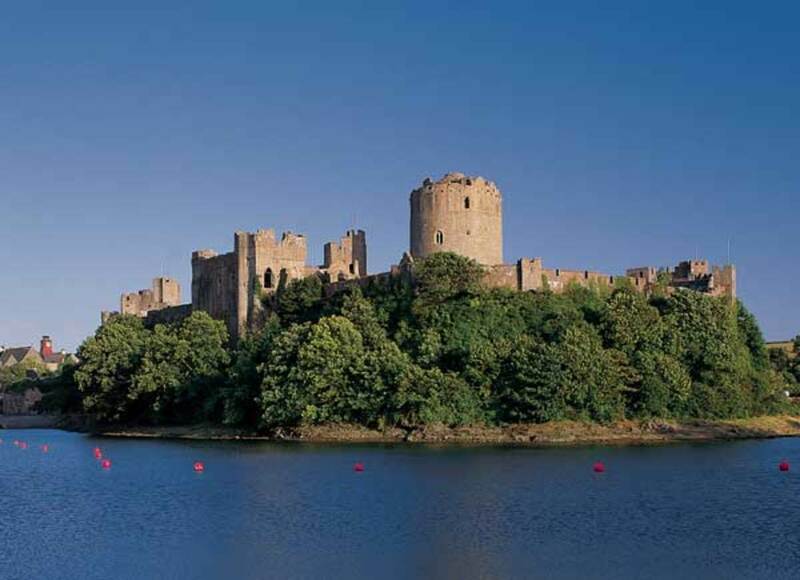 Records show Henry II would not acknowledge Richard's right to the title and lands of Pembroke. The estate did not come back into Richard's family until after the marriage of his heir Isabel de Clare to William Marshal in 1189, King John being the monarch who 'belted' Marshal, making him Earl of Pembroke. There are various reasons, historians argue, why Henry II refused to acknowledge Richard de Clare's right to the title and lands of Pembroke. Some believe Henry had no trust in him or blamed him for holding to King Stephen for too long. Some have reasoned Henry was set on not acknowledging any claim to land that was held in tenure, granted at the time of the 'Anarchy'. Whatever the reasons, we may never know the thinking behind Henry's actions, but they resulted in Richard's decision to take on an offer made to him by Dermot/Diarmuid MacMurchada, the king of Leinster in Ireland. Being 'in hock' to Aaron the Jew of Lincoln, the Irish offer would be his opportunity to regain fame and fortune. Having been deposed in Ireland, Diarmuid (or Dermot) MacMurchada had gone to Henry II for help in reclaiming his throne. The Norman-Welsh chronicler known to us as Gerald of Wales tells us that Henry issued a writ telling those men who held from him in any of his lands that they were free to help Diarmuid. The Irish exile set out for Bristol to find men and they flocked to him. Diarmuid offered Richard fitzGilbert his daughter Aoife (Eve) in wedlock along with the kingdom on Diarmuid's death in reward for help in regaining the kingdom. The Anglo-Normans who took part in the invasion with Richard were somehow related to him by kinship, land or loyalty, many bound to Wales by kindred and tenure. They were battle-hardened and able to take or hold the borderlands abutting Wales. Many had fought for Henry in the Welsh wars of 1164-5 and had perhaps lost their lands and/or offices due to the successes of Rhys ap Gruffyd. Maurice and William fitzGerald, Meller fitzHenry, Robert fitzStephen and Raymond le Gros were all related through Nest, the daughter of Rhys ap Tewdwr of Deheubarth. Hervey de Montmorency and Robert de Quinel were tied by blood and/or land to the de Clares. Richard was invited by the King of Leinster (around Dublin) to land in Ireland to help win back his kingdom after he had been exiled. Whilst in Ireland, 'Strongbow' pushed the bounds of warfare beyond what the Gaels were used to, introducing new weaponry and tactics. 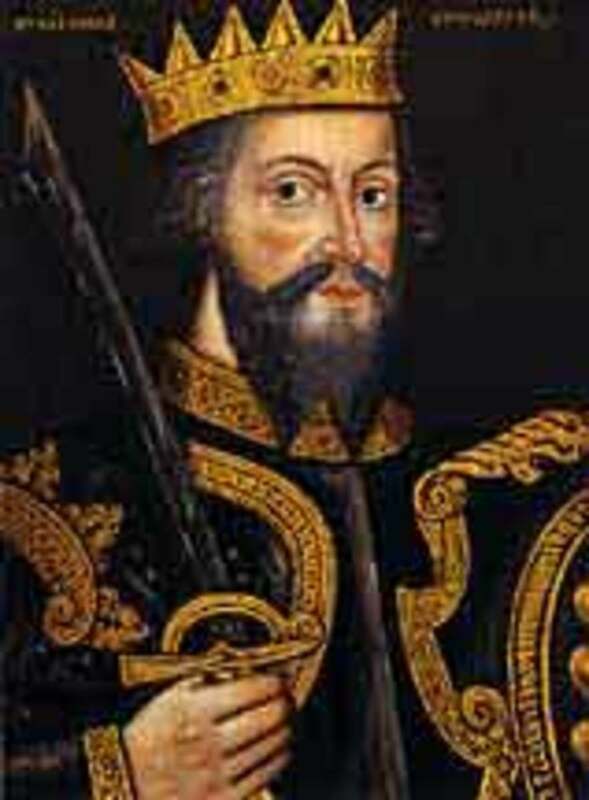 Henry II heard of his expedition and demanded a share in the 'spoils', territorial claims were made. This was the beginning of the 'troubles', the 'Irish Question' could have been answered almost at source, had Henry been content with the kingdom he inherited from his uncle Stephen. Richard returned to the vexing question of Henry's demand. They were already a month out of grace and Richard sent his uncle Hervey to speak to Henry. When Hervey returned he told his nephew he had to go and talk with Henry himself. So Richard met Henry at Newnham in Gloucestershire (others say Pembroke, because the king's preparations were in hand for sailing to Ireland). The pair settled their argument with Richard offering Dublin and its adjoining lands, coastal towns and strongholds to Henry. The other lands that Richard held by military victories and by marriage were given up to Henry, and received t hem back again as 'lands-in-chief' in tenure of the king and his heirs. Henry also recognised Richard's comital standing, but not his right to Pembroke. On October 18th, 1171 Henry landed in Waterford with four hundred ships, five hundred knights, four thousand men-at-arms and a few thousand archers. With Henry were some of his household and 'familiares' - lords he associated with at court on a day-to-day basis - amongst whom were William firzAudelin, Hugh de Lacy, Robert fitzBernard, Philip de Braose and Bertram de Verdun. 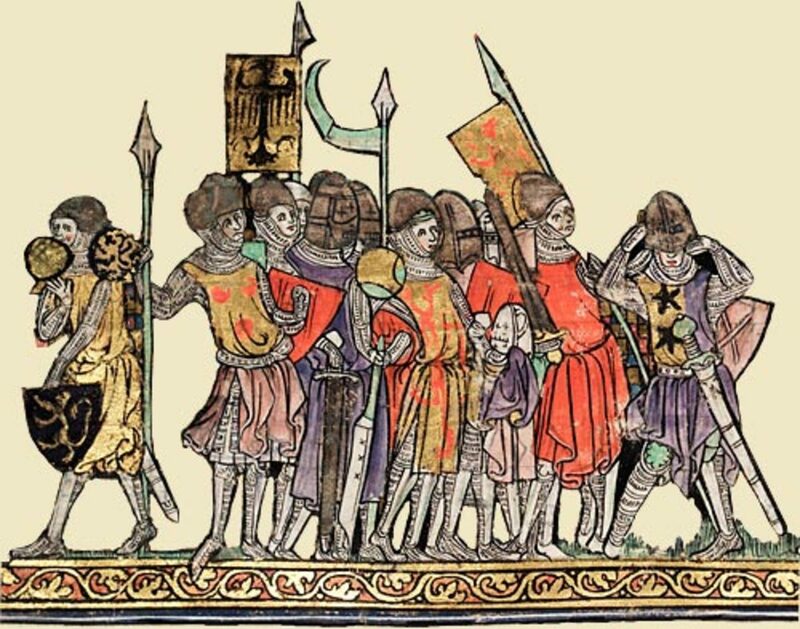 Henry put fitzBernard in charge of Waterford and set off to Dublin, taking the fealty and oaths of allegiance of the kings of Cork, Limerick and Ossory along the way. Henry II effectively became 'Bretwalda' or over-king in the centuries-old Anglian or Saxon manner that dated back to the days of King Oswald of Northumbria and earlier. Henry over-wintered in Dublin as guest of Richard and Aoife, oversaw the synod being established at Cashel according to Roman tradition as demanded by the pontiff. He left in early February, 1172 for Wexford. Between 26th March and 16th April that year Henry took steps to protect his Irish interests and to curb Richard de Clare's ambitions. 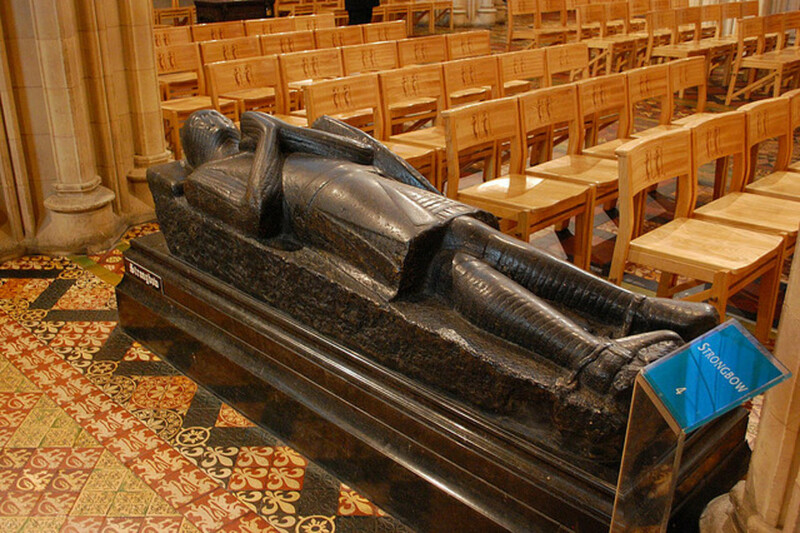 He put the city and area of Dublin in the protection of Hugh de Lacy and made him Lord of Meath. He gave the authority over Waterford and Wexford in the south-east to Robert fitzBernard and William fitzAudelin. Henry parted Richard from his more useful, personally known military leaders by setting fitzStephen, Maurice fitzGerald, Milo fitzDavid and Meller fitzHenry in the Dublin garrison. FitzAudelin, de Braose and de Hastings with thirty knights were installed with authority over Waterford. Although Henry saw t he value and needs of his barons, as mentioned he wanted no palatine lordships in Ireland that might threaten the security of his kingdom - as he had inherited in Wales. In April, 1173 Henry's sons rebelled and the king called on Richard de Clare to help him in Normandy. He was put in charge of defences at Gisors, as Henry himself was at Breteuil. Come August he took part in raising a siege at Verneuil. On 10th August at Rouen Henry nominated Richard governor or royal justiciar of Ireland. 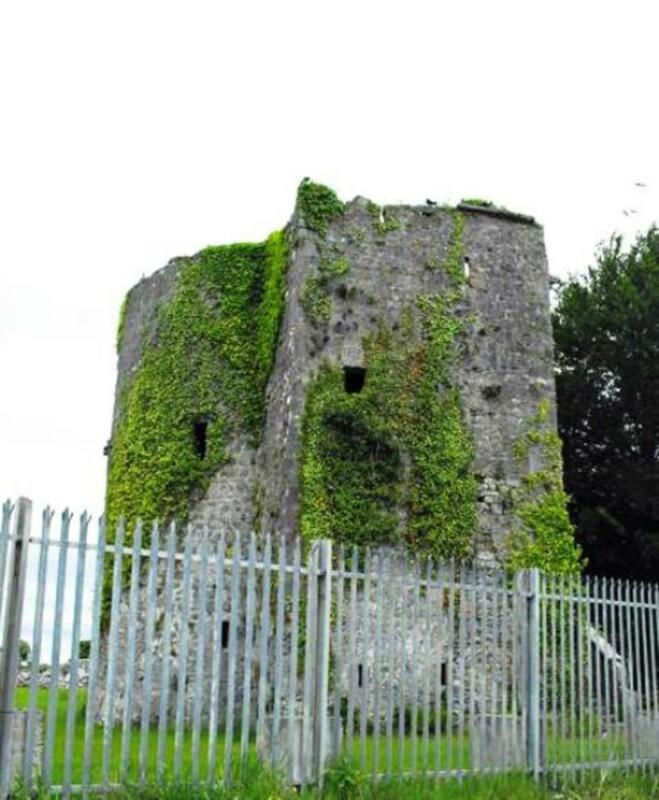 Henry also gave him the city of Wexford, the castle at Wicklow and made him Constable of Waterford and Dublin. With that Richard was despatched back to Ireland. FitzBernard, fitzStephen and others were sent to help the king (still at odds with his rebellious sons) in England and Normandy. At the end of 1174 in an Irish uprising Richard was ousted from Limerick and pushed back east to Wexford by King David of Limerick. Richard sent for le Gros to be leader of his forces. (Gerald of Wales commented that Richard's men would not do Hervey's bidding and Raymond was called for because they knew him. 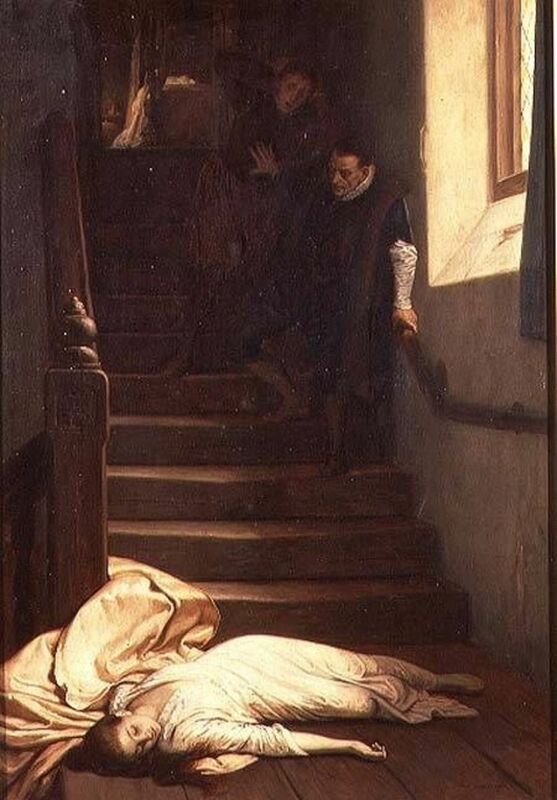 There had been a falling-out between Richard and Raymond le Gros when Robert de Quency - husband of Richard's sister Basilia - had died suddenly. Raymond was given Basilia in marriage, the custody and wardship of her daughter Maud, the Constableship of Leinster and lands in Fothard, Idrone and glasskarrig). At this time more of Richard's kindred married into the fitzGerald clan. Richard's daughter Alina married William, son of William fitzGerald and his uncle Hervey married Nest, daughter of Maurice fitzGerald (no known rfecords are extant on Alina's mother - historians guessed she was a natural daughter of Richard's because the writer Flanagan maintains Richard was not married before Dermot's daughter Aoife. All the marrying of Richard's family into the fitzGeralds may have been to lessen the ill-will between their families, and to strengthen loyalties between the Anglo-Normans in Ireland. In October 1175 Richard was in England for the signing of the Treaty of Windsor between Henry II and O'Connor of ireland, seen as another pretext for a revolt in Ireland. Richard went back early in 1175. In April 1176 Richard sent le Gros to raise a siege of Dermot McArthy, Prince of Desmond. After putting Dermot back in power le Gros set off to Cork. On his way a letter reached him from Basilia. Richard was interred with great ceremony, after le Gros arrived in Dublin, at Holy Trinity Church; Lawrence, archbishop of Dublin presided. No mention was made in the Annals of his widow or offspring, but he left Aoife with a young son Gilbert and daughter Isabel. It is on record that Gilbert died young in 1185. Henry took Richard's lands into royal possession, William fitzAudelin acting as administrator in ireland. Aoife held dower rights and - possibly - the lordship of Striguil until 1185/6. Richard's daughter and heir Isabel was put under the protection of Henry, one of his last acts being to promise her and all Richard's lands to William Marshal in 1189. Many years in Richard's life are not recorded. Little is known of his early life or of his relationship with his father during the 'Anarchy'. His time in Ireland was only seen from the perspective of a few sources, charters and writs he issued and witnesses thereunto. Richard is known to have given generously to the Church. He founded the preceptory of the Knights Hospitallers at Kilmainham near Dublin, and helped towards the choir of the cathedral in Dublin, with the two chapels of St Edmond, St Mary Alba and St Laud. He have charters and lands to St Mary's in Dublin and to Dunbrody, also founding the priory of the Benedictine nuns at Usk in Monmouthshire (Gwent). "In warfare 'Strongbow' was more of a leader than a soldier. When he took up his position in the midst of battle, he stood firm as an immovable standard around which his men could re-group and take refuge. In war he remained steadfast and reliable, in good fortune and bad alike..."
When Richard died aged forty-six Henry took his widow, his heirs and great swathes of land in both Wales and Ireland, and held them safe from those who would prey on widow and daughter. Henry respected and trusted him, perhaps even held some sort of affection for him as a brother-in-arms. 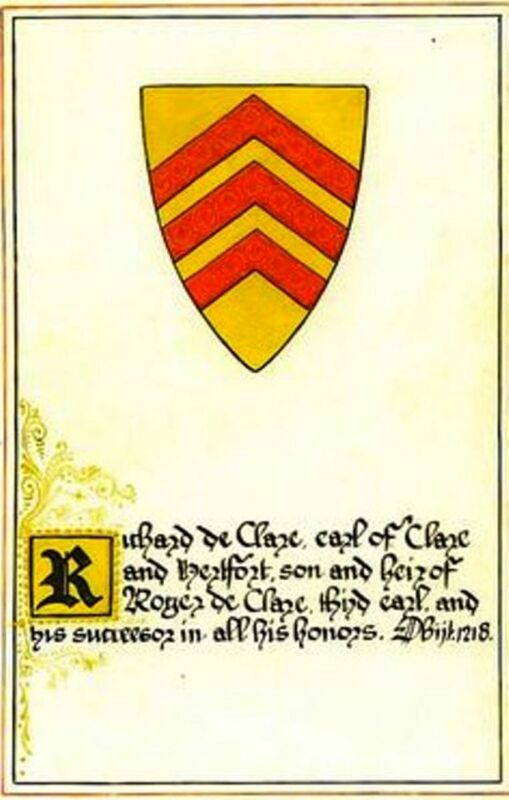 When Isabel de Clare married Henry's right-hand man William Marshall - and the strongest knight in the realm - in 1189 her father would have favoured Henry's choice of son-in-law for him, a man who had made his own corner of the world and was not in need of Richard's. Marshall would have been the equal of a father-in-law who had subjugated Ireland and been a loyal vassal to Henry II. The Anjouleme (the House of Anjou) were safe. Nice to meet you too, CS. There are several series you can follow in the run-up to the CONQUEST pages, such as the, VIKING, DANELAW YEARS, GODWIN'S CLAN and SWORDFLASH 1066. The Daddy of them all is the AGE OF HEROES series. Plenty to chew on, CS. Let me know how you get on. PS You might look in on the HUNDING'S WORLD series as well as HROLF KRAKI'S SAGA. Nice and meaty, lots of travel and... slayings. Alan, yet another incredible hub so well researched. I will be following your hubs now. Glad t'meetcher Cam. Were the Bernard Cornwell books in the 'HARLEQUIN' trilogy? The battle at Neville's Cross near Durham cost the Scots more than ransom money. That was a real event, when king David thought he'd pull a fast one whilst Edward III was in France, but the English archers proved his downfall. One of them claimed him as his captive when he hid under a bridge, and although King David kicked the man's teeth out he laughed all the way to the bank (so to speak). He was awarded land AND a cartload of silver. Keep on reading! (Plenty more to choose from - have to read any of the series 'Hunding's Saga' yet? There are 47 bite-sized episodes that lead into the 'RAVENFEAST' saga of Ivar Ulfsson). Alan, This was an awesome walk through some of the history I enjoy most. Some time back I read in a book on the history of England about the rise of archers in the English military. I find this early period and the times of the Vikings to be what I connect with most. Bernard Cornwell's books have been very enjoyable. I will be watching for your works now that I have run into you here. Billy, Graham (haven't I seen somebody by that name on posters? ), first and second in the queue. Glad you enjoyed this one. Took a few nights to get it all marshalled (now there's another funny, William Marshal). I shall get round to this Vangel(l)is piece, Graham. I remember the artist, although I've never really followed his music. Alan, yet another incredible hub so well researched and presented. Might I recommend a piece of music to you, I feel you would like it. On you tube go to 'Conquest of Paradise' by Vangellis ( I think that's the correct spelling). See how smart I am, Alan? I get here early before the hordes devour this splendid piece of writing and lay waste to the comment section. Momma didn't raise a fool. I have now had my quota of education for the weekend. I can call it quits today a satisfied man. Have a wonderful weekend my historian friend.